The Sound and Music Technology Associate in Science (A.S.) degree at Valencia College is a two-year program that prepares you to go directly into a specialized career in music and sound production. You will study studio and live sound techniques, post-production and audio engineering, as well as music business management, allowing you to develop the technical skills and aesthetic judgment to handle both the artistic and technical demands of music production. You’ll have the opportunity to work with awe-inspiring artists and can take advantage of a wide range of on-campus resources, including a Digital Audio Workstation, recording studio, soundstage and Valencia’s own recording label. This practical approach gives you real-world experience and a chance to develop, practice and refine your craft on your way to a high-wage career. Interested in pursuing a bachelor’s degree? 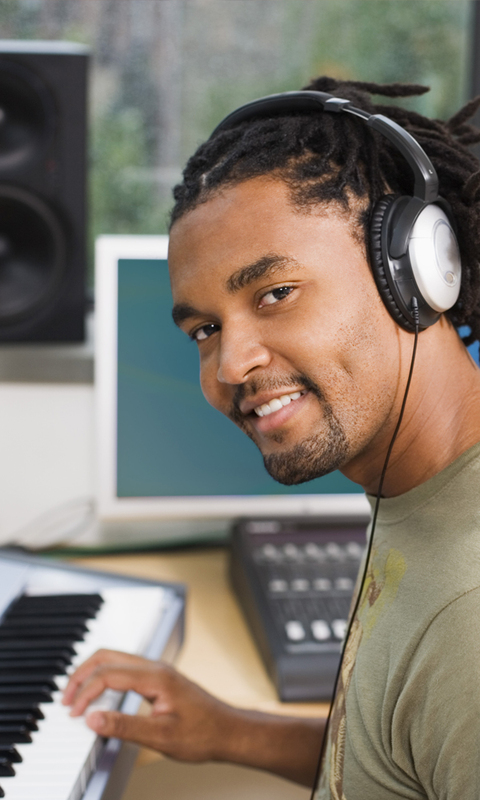 Choose the Audio Engineering Technology specialization, which transfers into Valencia’s B.S. degree in Electrical and Computer Engineering. Valencia’s certificate programs can put you on the fast-track to reaching your career goals. They are designed to equip you with a specialized skill set for immediate employment or career advancement. Most can be completed in one year or less. Career Pathways – Receive college credit for Career Pathways credits earned in high school. Technical College Programs – Receive college credit toward this program for completing an approved Orange Technical College program. Orlando is achieving national recognition as a prime source for music artists and entertainment technicians. The career possibilities in the Central Florida music and entertainment industry are endless with concerts, musicals, plays, opera, theme parks, film, video, multimedia, broadcast and conventions all adding to the vibrant collage of employment opportunities.